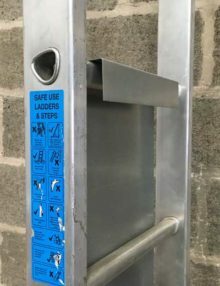 The ladder lockout cover is designed to deter access up ladders by unauthorised operatives, “unwelcome” visitors to site or even children. 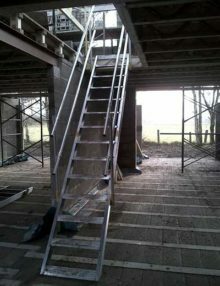 Ladders are very useful but they can also be potentially hazardous. 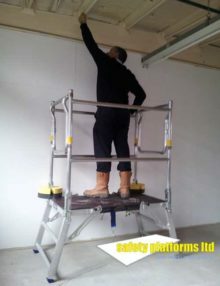 Ladder lockout covers can be used to prevent access by unauthorised staff who have not had the required training. 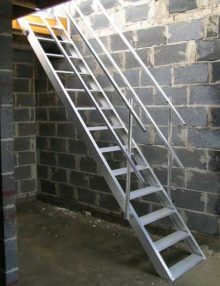 They can also be used to identify and prevent access to damaged, faulty or otherwise unsafe ladders. 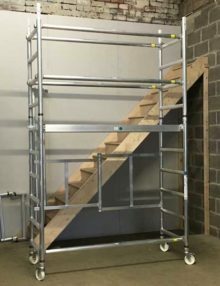 The lockout cover can be fitted over up to four rungs, making it ideal for stepladders, extendable ladders and other types of ladders. LADDER LOCKOUT is a strong and secure ladder security lockout cover. 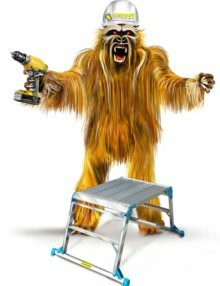 The ladder lockout is designed to deter access up ladders by unauthorised persons. 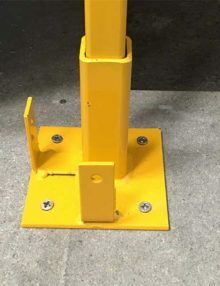 The simple one piece design of the ladder lockout means no loose components to lose or break, just one piece of engineered steel which can be secured by a padlock. 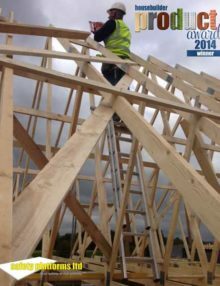 The ladder lockout can also be used simply to inform site personal not to climb a ladder as the scaffold may be incomplete or not yet inspected. 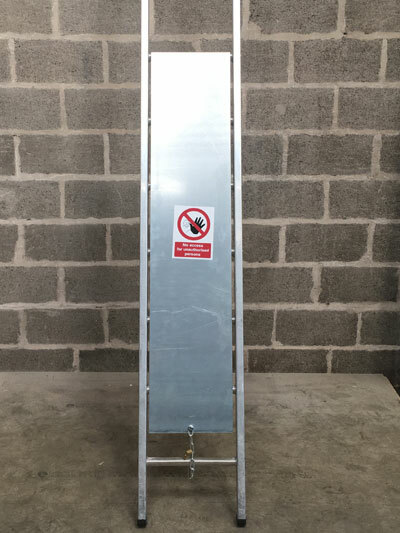 Ladder Guard Dimensions: 300mm wide x 1400mm tall. 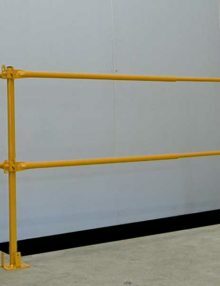 Manufactured from galvanised steel, the ladder lockout can be used in such places as chemical plants, where the use of aluminium is not acceptable. 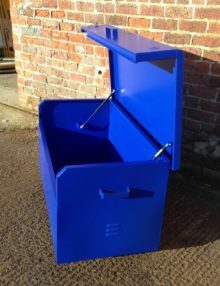 The ladder lockout is available ex-stock so is available for imediate delivery to site. NOTE: Price of £44.90 is excluding padlock. If you require a padlock please select that option from drop down box below – Thank you. 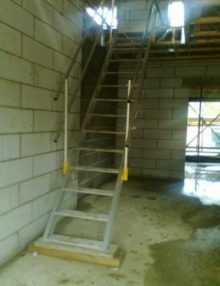 LEGAL RESPONSIBILITY: UK law demands that should trespassers, and other unauthorised persons enter your site they are to be protected from being exposed, and exposing others, to hazards such as injury caused by accessing dangerous or incomplete scaffold resulting in a scaffold collapse, a fall from height, the dropping tools and materials onto passers by. LADDER GUARD is a strong and secure ladder security cover. 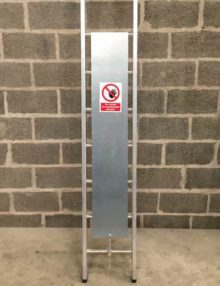 The ladder security cover is designed to deter access up ladders by unauthorised operatives, “unwelcome” visitors to site or even children.